Asus' new media box, the bizarrely-named O!Play HDP-R3, is sold as the easiest way to enjoy HD content in the living room. With no set up required aside from choosing the display format and time zone, it's not far from being just that. 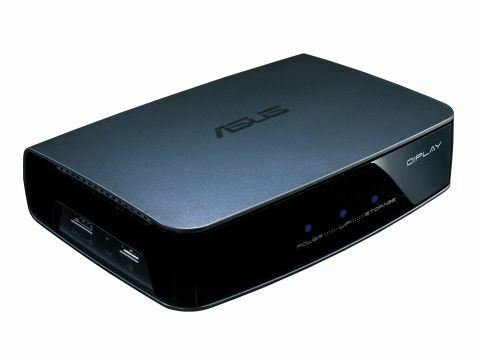 And at £80 it's a good shout from Asus and really is a true plug-and-play device. Plug it in via the composite cable, or more usefully through the HDMI connector, and you're ready to roll. It takes barely a few seconds to boot into its solid, if visually uninspiring, menu screen, then it's just a question of plugging your media into either the built-in card-reader, USB device or combo eSATA/USB port. It's got a raft of codecs ready to play, including the downloader's favourite HD wrapper: MKV. The video interface is very neat too, giving a rolling preview by simply highlighting a particular file, and playback is then only a click away and starts up refreshingly quickly. For someone into their pretentious foreign, subtitled, films (like me) the added bonus of SRT, SUB, SMI and SSA format support is fantastic and with the in-video menu screen you can tweak the subs to your own particular tastes too. I can't help though but read the moniker of the O!Play as "Oi, play!" which, coincidentally, is exactly what you're likely to be shouting at the diminutive box if you're trying to stream any HD content from your standard PC out to this player. Sure it can play all your hi-def, MKV packed 1080p loveliness without batting an eyelid from your external hard drive or USB key, but you're going to have difficulty getting it playing smoothly over ethernet. That said, all your standard definition content will roll happily across your home network, but with an operating power rating of less than 10w you'd ideally be running this on it's own and have your power-hungry desktop switched off. Stick it into a NAS device though and you can be smug in a technologically eco-placating way with all your media right there available in your lounge. You'll also have access to all your music and image files too, with impressive support for the ever-popular lossless audio codecs too. So the O!Play Air HDP-R3 is a neat li'l player then, with a quality list of support, and will fit happily in even the most minimalist of living rooms. It does feel a little lightweight with the plastic surrounds, but that's only a minor grievance. The remote is responsive and small enough to be unobtrusive without being too easy to drop down the back of the sofa, and it can be yours for less than a ton. The O!Play HDP-R3 isn't going to set the world alight, and to be perfectly honest I'd rather it had the option of some internal storage, but hooked up to a decent NAS device or with a fat USB stuck in the side it should fulfil your basic media player needs.